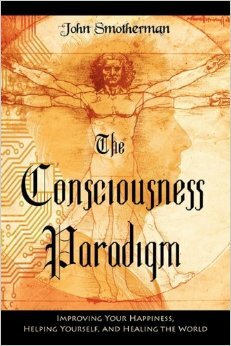 To purchase The Consciousness Paradigm click on the book image and you will be redirected over to Amazon.com. Thank you for your interest. I show you some serious shortcuts to living an amazing life. I explain how to retrain your mind to make yourself a happier, more successful person. I explain 21 specific skills you can learn that will make your mind power sky-rocket. I explain how to take the crap in your life and trn it into tools that will improve your life instead. I explain how to transform fear, anger, and a lack of control, into peace, compassion, and an inspiration for others. I walk you through the Sunrise Meditation Method, one of the most effective ways of increasing your mind power. I explain transitioning from small mind to big mind. I map out the most powerful areas of the mind, that most people never actually use. The book includes a step by step, easily followed plan for raising consciousness. It also has thought provoking discussion questions at the end of each chapter to facilitate group discussions and understanding of the principles covered. Because we believe that letting others know they are special to us, we offer an ecard program, free for you to use. Clicking this link will bring you to our ecard program information page. There you will learn how to use the ecard program.